New Delhi: The Health Ministry launched a two-week-long massive campaign to eradicate leprosy by focusing on 149 endemic districts across the country. In a first, the Leprosy Case Detection Campaign (LCDC) aims to cover more than 1,600 blocks in the 149 districts across 20 states where nearly 3 lakh health teams will undertake door-to-door visits to detect leprosy cases. “We are launching a special campaign from for leprosy eradication. This is the first time in the country that we are doing something of this kind. “The campaign will be till September 18. It will cover 20 states, 149 districts and 1,656 blocks,” Health Secretary C K Mishra told . He said around 32.18 crore population has to be reached and checked through 2.97 lakh teams. “It is a huge campaign that we are launching. 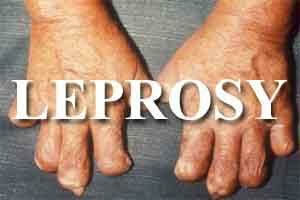 The idea is to detect and treat leprosy and stop its spread,” he said. The campaign comes after Prime Minister Narendra Modi called for eradicating leprosy from the country by 2019, which is the 150th birth anniversary of Mahatma Gandhi. After the Prime Minister’s appeal, Health Minister J P Nadda had directed officials to launch a campaign in this regard. Mishra said the teams will go door to door, do a check up and if a suspected patient is found put him or her on treatment. He said although the number of cases will rise initially. it will ultimately come down because the moment the patient has the first tab, the spread will stop. Elaborating about the disease, Mishra said while at the national level, leprosy has been eradicated and most of the states have also eradicated it, the disease still exists at the districts and block level. “At the national level, we have eradicated leprosy while most of the states also have done so but at the disaggregated level, in districts and blocks, it is still there. Now we are concentrating on that. So we have picked up the 149 endemic districts,” he said. According to the website of National Leprosy Eradication Programme (NLEP), a centrally-sponsored scheme under the Health Ministry, India achieved the goal of elimination of leprosy as a public health problem, defined as less than 1 case per 10,000 population, at the national level in December, 2005.